The planned American missile defense shield is “a copper basin” that will cover NATO states and pose a threat to neutral European countries, believes Russian Vice Premier Dmitry Rogozin. 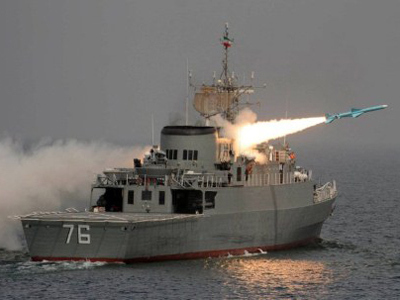 “The Americans call the deployment of the missile defense system in Europe 'an umbrella'. It's not an umbrella, it's a copper basin that will cover both NATO member countries and neutral states,” Rogozin said in an interview with Echo Moskvy radio station. The Russian idiom “to get covered by a copper basin” is similar to the English expression, “to go out of the window”. In this context, what is going out of the window is national security. Rogozin, Moscow’s outgoing NATO envoy, also underlined that a defense shield should be limited to the territory for which the initiator of this shield is responsible. “But if it crawls into someone else’s territory, it’s no longer a defense, but an offense,” noted the Russian deputy PM who is in charge of the country’s defense complex. 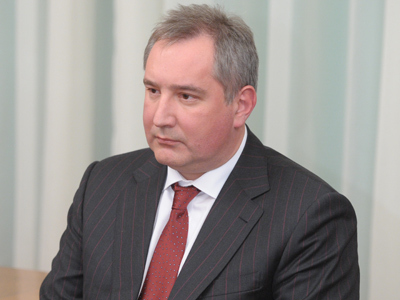 “What kind of defense system is it that spreads to the territory of states that do not want to be controlled by anyone and don’t want the range of any missiles to lie within their soil?” Rogozin asked. The planned deployment of the American-NATO defense system in Europe has long been a bone of contention in relations between Moscow and Washington. The Russian side is worried that the system, located close to Russia’s borders, may pose a threat to its national security as long as the US fails to provide any legally binding guarantees to the contrary. 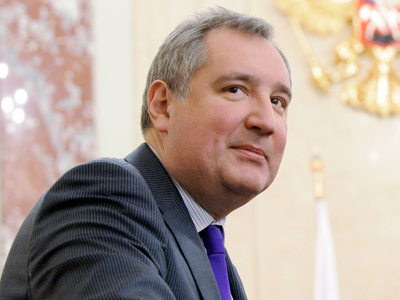 Dmitry Rogozin is confident that the system will be directed against Russia’s strategic nuclear forces. He noted that the aim of the deployment of the NATO fleet in Norwegian fjords is not to provide security from North Korea or Iran. 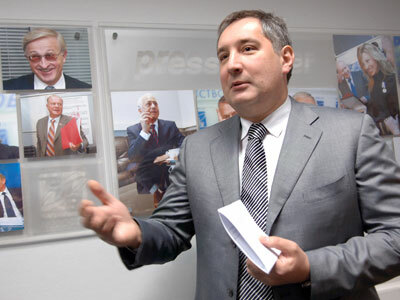 “There is only the Russian Federation in this region,” Rogozin pointed out. 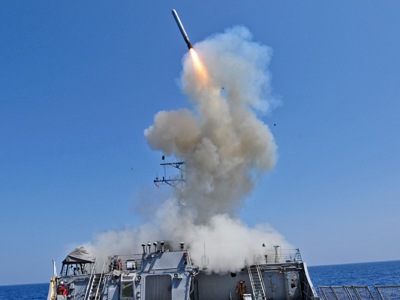 “The very presence of such missile defense system’s parameters that are capable of shooting down exactly strategic missiles, and the very placement of these [military] bases, fleet and anti-missile weapons systems in northern seas point at one thing: a clear and practically uncontrollable anti-Russian nature of the missile defense,” he said. The former NATO envoy believes that measures that Russia will have to take in response to the deployment of elements of the American missile defense shield in Europe may lead to a new arms race. Meanwhile, US-Russian negotiations on the matter “are maintaining a low profile at the moment.” In fact, there are no talks, Rogozin said. The vice premier thinks it unlikely that there would be any breakthrough or development before the NATO summit in Chicago that is due to take place in May. “We need telemetry, telemetric equipment, which should be installed on the interceptor itself,” Rogozin explained. On Thursday, Russia’s former finance minister, Aleksey Kudrin, stated that Russia should not try to catch up with America militarily by increasing its defense spending. "I think there is a military solution: to maintain nuclear parity and defensive capability. 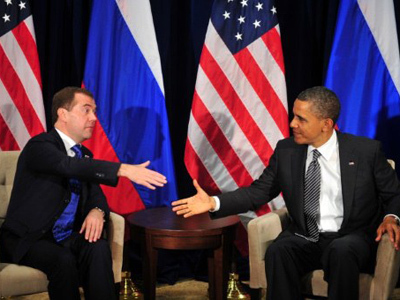 We cannot have the same army as the US," he said, speaking at the Gaidar Forum in Moscow, as cited by Interfax. 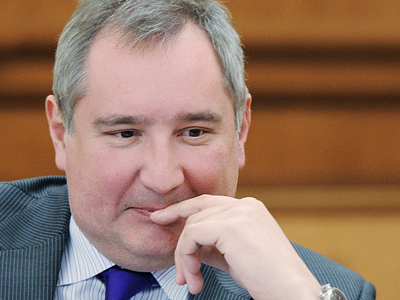 Dmitry Rogozin criticized the stance on his Twitter microblog. “Does Kudrin know the meaning of the word ‘parity’?” he wondered. 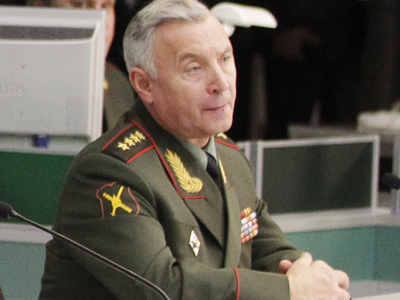 The former finance guru also expressed doubts that Russia’s military-industrial complex would be able to fulfill the state defense procurement order since “there are many inefficient enterprises” in the sector. “It’s plain as a pikestaff,” Rogozin added, as cited by Interfax news agency.